Being able to park you vehicle in your garage depends on large part with the proper working of your garage door. But as is often the case, homeowners give up easily on their garages when their doors develop problems that can be easily fixed. 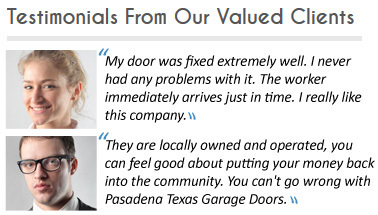 If you have a broken garage door spring call Pasadena Garage Door TX and within minutes we can schedule your service and assign one of our highly qualified technicians to come and help you. A lot of people have been seriously injured trying to repair their garage doors on their own. The riskiest part to work on if you don’t have proper skills is the spring because of its high tension that is required to lift the door. 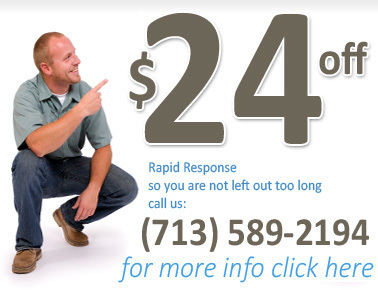 Our technicians can provide you with this service safely and securely without posing any risk to you or your family. Our garage door spring replacement service is effective and offered to you quickly. We always have a wide variety of parts in stock just in case we need them in a hurry. Springs are some of the parts that we like having readily available and therefore can install them for you quickly and without delays. If you have a broken garage door cable, this is another dangerous part to work on and requires the services of a highly skilled technician. Our staff is not only knowledgeable, but it is widely experienced in making these types of repairs because we do them all the time for most of our customers. If you need garage door panel repair, we would like to help you because we believe in only fixing things that are broken to save you money. 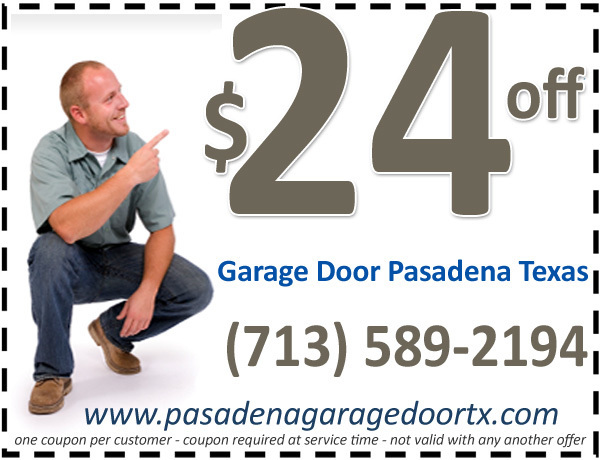 Some service providers may insist that you replace the whole garage door instead of fixing a panel. We don’t recommend that because we like to save our customers’ money. We can easily and quickly perform the panel repair and restore the smooth operation of your door. Do you have a broken cable on garage door and want it changed, call us any time since we are available 24 hours a day, 7 days a week.